Does your kid want to be a hairdresser in the Animal Hair Salon ? Does your little girl want to be the best hairstylist ? 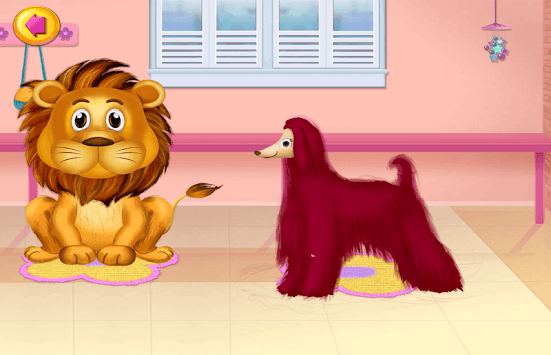 If your child want to play in the Animal and Pet Hair Salon you have found the right educational game ! There are a lot of animals and they need the best hairdresser. 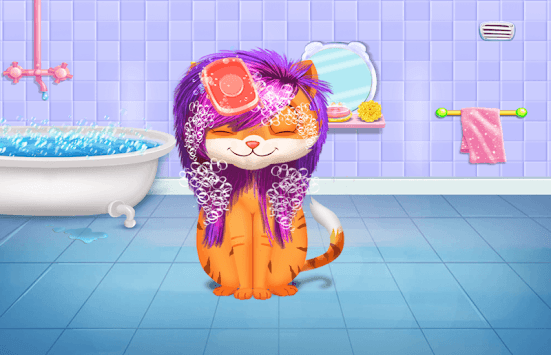 Please help the hairstylist in this fun game for kids. in the world of hair salon for pets. The best app to be a barber and design various hairstyles for your hairy customers. of their dreams! With this funny game, you get to scissor cut, curl, color, and style hair! Wash hair with shampoo, shower, and towel ! Cut and trim hair with the scissors electric hair trimmer ! The style is completely up to you! If your toddler loves to play with Hair Salon this is the best hair game for your child. Dress up your pet the way you want to ! Give these animals the curls they have always wanted ! In this kids game there are hundreds of hair style, makeup, clothes, and accessories to choose from ! Help your kids to learn and inspire your toddler's creativity and imagination in the funniest Hair Salon of the city ! 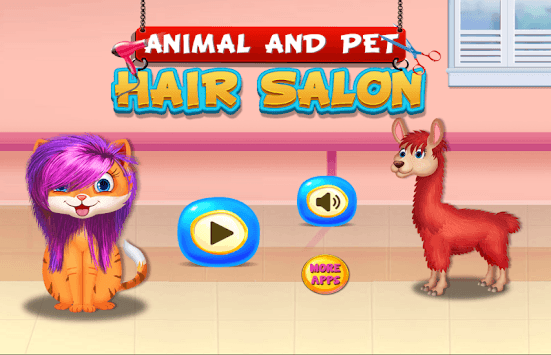 Play with the best Pets Hair Salon, become the best barber in the world ! Having a beautiful hair-style is every fluffy cat dream in this animal hair salon for free. Now you are a hairstylist ! Let's design the most beautiful hair-style for puppies.